Deliberations during the meeting at the Min. of Public Works Spain. 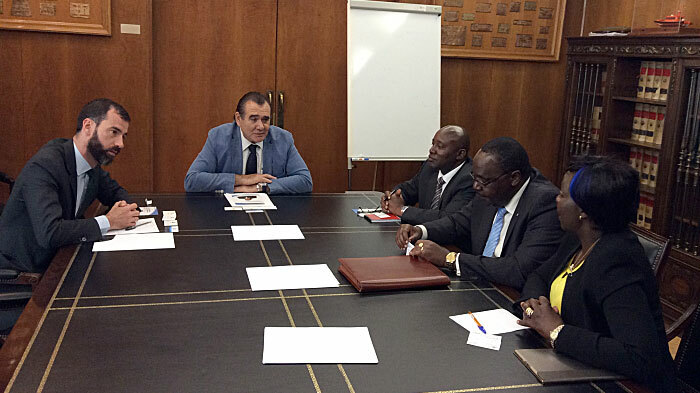 From left, Mr. Benito Núñez, Chief of Staff at the General Directorate for Merchant Marine, Mr. Rafael Rodríguez, the Director General, Mr. Patrick Nzusi, Chargé d’Affaires, Kenya Embassy Madrid, Mr. Mr. Juvenal J.M. Shiundu, Government of Kenya’s candidate to the post of Secretary General of International Maritime Organization (IMO), Ms. Jayne Toroitich, First Counsellor, Kenya High Commision, London. Mr. Juvenal J.M. Shiundu, Government of Kenya’s candidate for the post of Secretary General of International Maritime Organization (IMO) visited the Kingdom of Spain to solicit support for his candidature for the elections to be held on 30th June, 2015. During the visit Mr. Shiundu held two fruitful meetings with Mr. Juan Luis Muñoz de Laborde Bardín, Deputy Director General for Multilateral Economic Relations and Air, Maritime and Land Cooperation at the Ministry of Foreign Affairs and Cooperation and with Mr. Rafael Rodríguez Valero, Director General for Merchant Marine at the Ministry of Public Works, Spain. Mr. Shiundu is a long serving staff member of the IMO, with strong credentials and experience. He is the Deputy Director/Head, Programme Management at the institution. The Government of Kenya is convinced that Mr. Shiundu’s strong credentials and experience at IMO, will contribute to efficient and effective discharge of the organization’s mandate while ensuring continuity. A group photograph with Embassy staff during of the visit by Mr. Juvenal J.M. Shiundu. 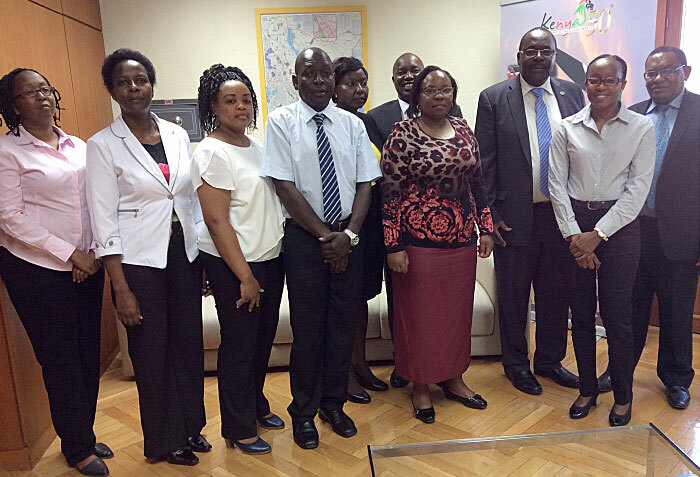 From left: Ms. Sharon Konchellah, Ms. Jane Oyaro, Ms. Elizabeth Muna, Mr. Haggai Owino, Ms. Jayne Toroitich, Mr. Patrick Nzusi, Ms. Catherine Kibara, Mr. Juvenal Shiundu, Ms. Eunice Mbuvi and Mr. Joseph Mbuthia.